£28,000, plus overtime and additional shift payments. Are you a HGV driver fed up of not knowing when you’re working next? Looking for guaranteed hours with a well-respected company that will pay you what you’re worth? Or are you looking for a job that’ll give you the opportunity to grow and develop your career? 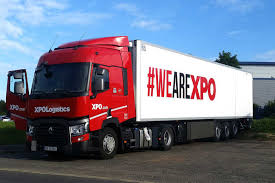 We’re looking for a full-time, permanent Class 1 HGV driver to join us at our site in Wakefield. You’ll be working 40 guaranteed hours per week on the Monday to Friday night shift. You’ll be working on our contract with LPR, delivering and collecting empty pallets throughout Yorkshire, the East Midlands and the North East of England. You’ll be operating both curtain-sided trailers with the potential of using flatbed trailers in the future. We’ll need you to have a full UK driving licence (with C+E entitlement), along with CPC and digital tachograph. You’ll have no more than six penalty points on your licence. In return for your hard work, we’ll offer you on-target annual earnings of £28,000, plus overtime and additional shift payments. You’ll also have access to a variety of high street discounts, including childcare vouchers, uniform, cycle to work scheme, a workplace pension, holiday pay and many other perks. 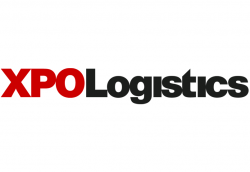 XPO provides cutting-edge supply chain solutions to the world's most successful companies, including Disney, Pepsi, L'Oreal, Toyota and many others. We’re the fastest-growing transportation company on the Fortune 500 list and we’re just getting started. The above statements are intended to describe the general nature and level of work being performed by people assigned to this classification. They are not intended to be construed as an exhaustive list of all responsibilities, duties, and skills required of personnel so classified. All employees may be required to perform duties outside of their normal responsibilities from time to time, as needed.